Executive style 4,962 sq.ft. 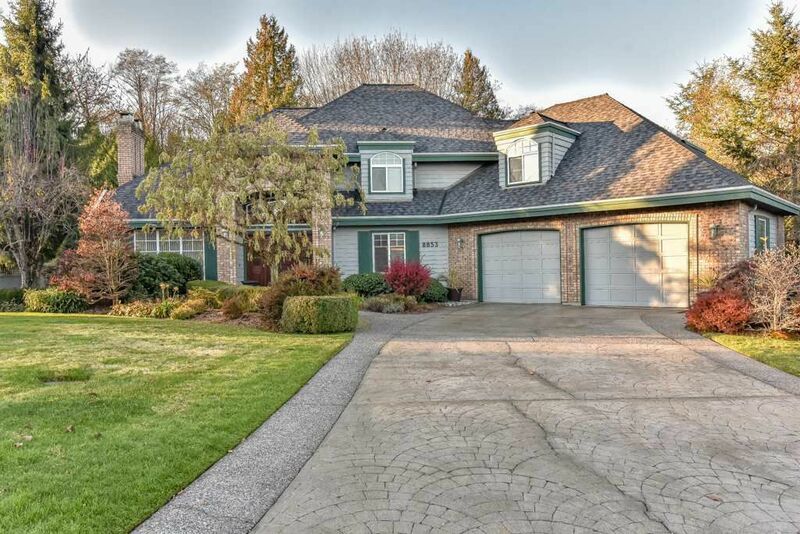 home on a beautifully manicured 1/2 acre GD lot backing onto a greenbelt in a park like setting. Completely renovated in 2010 by the Greater Vancouver Home Builders Association and Parade of Renovated Homes Participant. Updates include Kitchen cabinets, S/S Kitchenaide Appliances, hardwood flooring through most of the main floor, ceramic tile in the entry way. Double set of French Doors opening up to patio with gas hookup for a BBQ & Firepit onto a private backyard. New furnace/ Heat Pump in 2016, new roof 2009. Bathrooms updated in 2013. Day light/Walk out basement with separate entrance. Book your private showing.